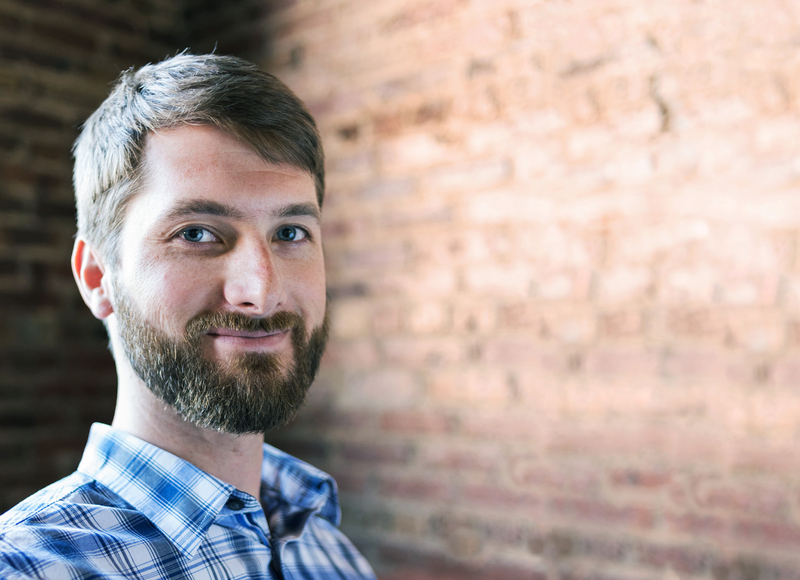 Nick Culbertson doesn’t have the typical background for a start-up entrepreneur, but that has served him well. As an ex-Special Forces operator with experience in human intelligence he comes from a disciplined environment where information was handled with the utmost of care. This — coupled with his co-founder, Robert Lord’s experience managing complex analytical systems at a hedge fund — gave the duo a heightened interest in protecting data, especially in healthcare. As medical records are increasingly digitized, Nick and Robert saw an opportunity to use big data in innovative ways to secure medical records. This insight led to the creation of Protenus, a start-up focused on building strong healthcare data security systems. It also led to a unique corporate culture that has attracted top talent. Protenus is a Baltimore based start-up that helps hospitals protect patient privacy by tracking employee use of data and detecting and flagging any use of data that is outside the normal path of patient interaction. What was the inspiration for Protenus? I moved into healthcare because I wanted to have a meaningful impact. Both my co-founder and I have non-traditional backgrounds. When we looked at how data is handled in healthcare we were blown away by how things are done compared to the financial and intelligence communities. We saw the opportunity to create multidimensional fingerprints of clinical and administrative workflows that add a level of rigor to data protection in healthcare – essentially using data to protect data. Initially we were seeking research grants but were encouraged to join a local startup accelerator. To our surprise we got in and Protenus was born. Like a true start-up we had to learn on the fly. After lots of research, we were able to build a business model and test it with clinicians, hospital executives, and industry experts. Eventually, all of our discussions led us to where Protenus is today. What do you enjoy the most about building a start-up? We consciously built a culture that would attract the types of people we were after. We have a flat team structure built from a group of peers who respect each other and work together to approach the problem from different angles. We have assembled an amazing group of people ranging from particle physicists to cybersecurity engineers, and we couldn’t be happier with the team that serves as the foundation of our company. How did benefits fit into your team-building strategy? As a start-up we knew we couldn’t pay people high salaries, but we still wanted to provide awesome benefits. We didn’t want our team to worry about their health insurance or retirement; we wanted them to focus their time and energy into building great solutions to challenging problems at our startup. We thought that a 401(k) would really help us stand out in a competitive hiring market because most start-ups in our area don’t offer it — it’s something typically associated with big companies. What are your secrets to building a great company culture? We looked at companies who are doing it right. My co-founder and I reached out to experienced entrepreneurs we respected to learn from them. Using our backgrounds as an influence, we’ve taken a team-first approach. We take pride in our company’s cohesion, as well as our dedication to thinking rigorously about the problems we solve. 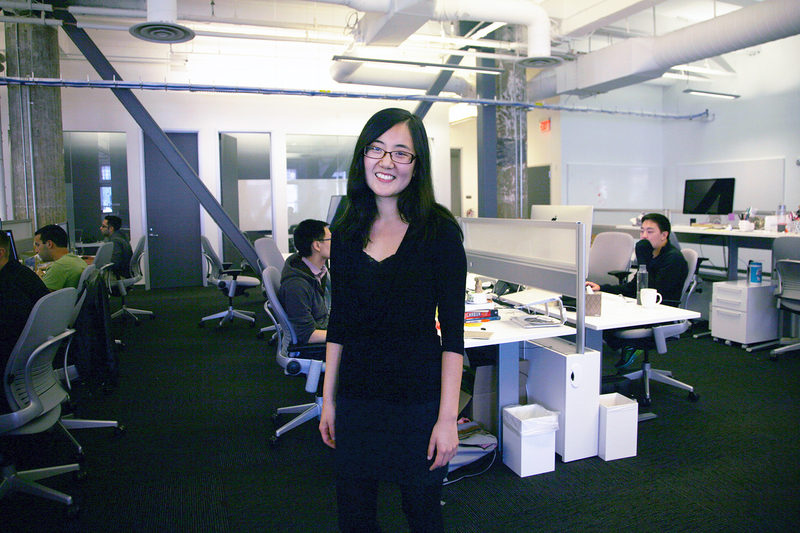 The number one thing for us is transparency with team members, customers and investors. Everyone understands what our motivations and priorities are – we are all on the same page and moving towards the same goals. It’s something that mature companies offer. We wanted that balance – joining a start-up can be risky, and we wanted to show our commitment to our employees’ future. We want to make sure everyone gets out of the company as much as our company gets out of them. We didn’t want people set back in planning for their retirement because they took a risk in working for a start-up. How was the set-up process? It was pretty painless – it was so surprising how painless it was. For a lot of other things like payroll and insurance we had so many forms to deal with. The 401(k) doesn’t come up often in our work because we don’t have to think about it. . .it’s taken care of. What do you dream about doing when you retire? I don’t think about retiring. I’m honestly not the kind of person that I think will retire. I feel like I’ve never truly had a job because I’m always doing something that excites me and gives me the opportunity to solve challenging problems and work with great people. I hope to continue down that same road. 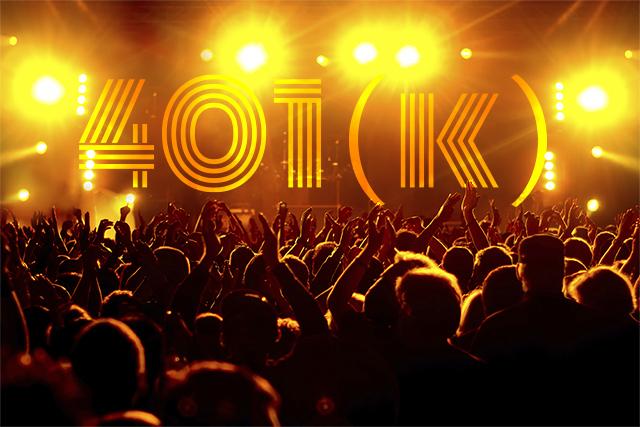 The New Recruiting Rockstar: a 401(k)?